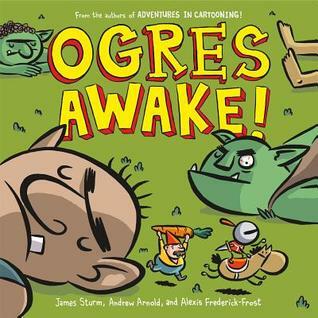 The knight and her horse, Edward, have made a startling discovery: there are three huge ogres asleep at her doorstep! When they wake up, the kingdom is in big trouble! The knight, Edward, and some garden gnomes fight back, not with swords and shields, but with potato peelers and spoons. It turns out that ogres are pretty friendly when they have full stomachs! This new addition to the Adventures in Cartooning series presents the knight and her horse, Edward with a new challenge. When the knight spots the ogres sleeping, she knows that they will soon show up at the castle. Naturally, her first inclination is to prepare to fight them, but the king has another plan in mind. I really appreciated the fact that while the knight's first inclination is to fight, that is not the wiser king's plan. So many books, movies, TV show, and other forms of media suggest that fighting/violence is the solution to one's problems, especially if one is being threatened with violence. I appreciated the fact that this story shows the value of trying other solutions first. Most of this book is the story, but the end pages show how to draw the knight, Edward, the gnomes, and ogres. This is a short fun comic book style read for younger readers who aren't yet ready for full-length graphic novels. This may also send young readers looking for the longer and more detailed original stories that not only tell stories but also teacher how to create comics. A fun new addition to the series. 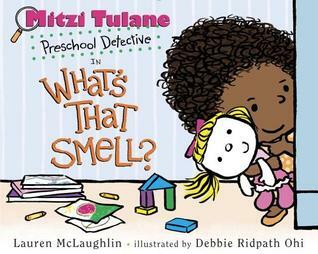 Mitzi Tulane may be only three years old, but she sure knows how to follow a trail of evidence and solve tough mysteries. From the strange happenings in the kitchen to the sudden arrival of every family member she’s ever met, Mitzi pieces together the clues and (finally) realizes that she’s . . . in the middle of her own surprise birthday party! Kids and parents will laugh along as Mitzi sorts through not-so-subtle hints and comes to her conclusions. Readers will love figuring out the surprise ahead of the private-eye protagonist! Debbie Ridpath Ohi’s bouncy illustrations bring an extra layer of fun to Lauren McLaughlin’s clever story! Mitzi Tulane is an adorable character that I hope to see a lot more of in the future. I laughed as Mitzi seeks to figure out the new smell that permeates the house and gathers other clues. Her consultations with her baby brother Kevin were amusing as well. The story does a great job of presenting a rather simple mystery. 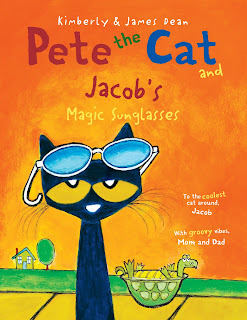 This book would be a great way to introduce young children to the idea of solving a mystery. Now, I am aware that some people may have a problem with the fact that Mitzi is black and the rest of her family is white, as well as her doll. I assumed and I believe most children will as well that Mitzi is adopted. Since I know several children in a similar situation, I found it a nice example of diversity. It would have been nice if the doll had been black as well (like Mitzi), but the inclusion of relatives with both white and black skin makes up for that a bit. The illustrations are adorable as well as bright and colorful. A nice addition to a growing body of work that includes children from diverse backgrounds. Thunder Boy Jr. is an adorable little boy who wants to have a name different than his father's. 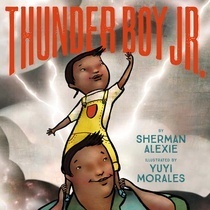 The story follows 'Little Thunder' as he speculates on why he wants a different name and what that new name could be. It's clear that Little Thunder loves his father and his family, he just wants to be his own person. This is so much like a young child, wanting an identity of his own. I believe this is a story than many young children will be able to relate to. I also love the fact that this is a diverse family with their own traditions. While receiving a new name is something that is special and even sacred to multiple cultures, including First/Native Nations, and that needs to be considered, young children sometimes like to pretend they have a different name (I can't tell you how many times I did that during imaginative play as a child). This book though would be a great lead-in to a discussion of respect for other cultural traditions and practices. It's also an adorable story about a father and a son. When the Allies discover the plans for the bomb, they agree Vemork must be destroyed. But after a British operation fails to stop the Nazis’ deadly designs, the task falls to a band of young Norwegian commandos. Armed with little more than skis, explosives, and great courage, they will survive months in the snowy wilderness, elude a huge manhunt, and execute two dangerous missions. The result? 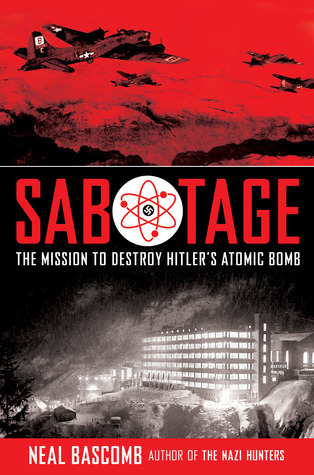 The greatest act of sabotage in all of World War II. Stories like this one are among my favorite to read because they are real. The remarkable nature of what happened and the dedication and sacrifices made by those involved are fascinating. And in this book Bascomb tells the story of a lessor known series of events that played an important part in the Allied victory during World War II. The development of atomic physics during World War II was something both sides pursued. Bascomb presents a basic description of where things stood among the Germans as the war advanced. The production of heavy water at Vemork in Norway made it a valuable resource for the Germans once they invaded the country. Leif Tronstad, a Norwegian professor, recognized the danger in letting the Germans have access to so much heavy water (used in creating nuclear power). Getting himself out of the country and to Britain he helped set up the missions directed at stopping the production of heavy water at Vemork. Bascomb tells a fascinating story about the men directly involved in the missions to destroy the heavy water and the incredible sacrifices they made. This is a book that shows the power of a few to make a difference and the damage that war does to everyone. The combination of science and history makes this a great book for young adult readers who are interested in either and a great resource for teachers. Alcatraz Smedry once again finds himself at the heart of a Librarian conspiracy. 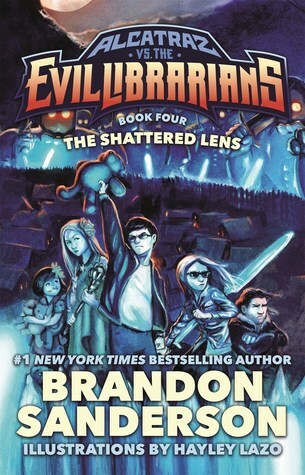 The Free Lander nation of Mokia is about to fall the sect of librarians called the Shattered Lens. And Alcatraz and his friends and family just can't stand by and see it happen, so they sneak into the country to try to save the capital city of Tuki Tuki. But once again, Alcatraz finds himself in way over his head, especially when he runs into his librarian mother and discovers that a lot of things he thought he knew might not be true and that his Talent might be far more dangerous than he ever imagined. With his typical sarcastic asides and made up words, Alcatraz tells his story with plenty of humor and action. As a fourth book building up to the big finale in the last book, the book ends with several cliffhangers leaving me eager to read the last book and find out what ends up happening to Alcatraz and his friends and family. I can safely say that I've never read another series quite like this one. Both in terms of the story line, a mixture of reality and fantasy, and the storyteller. Alcatraz narrates these books in a very unusual way. He is the typical unreliable narrator in some ways, but his efforts to teach the reader about writing a book and his odd turns of phrase and efforts to convince the reader that he is not the hero others think he is and that he's a liar as well. His very idiosyncrasies are part of what makes the books so fun. In addition, Alcatraz's family and friends are thoroughly entertaining. The mythology behind the Smedry talents takes an interesting turn in this fourth book that have only been hinted at in the previous volumes. Sanderson has created an engaging middle grade series that young readers who enjoy humor and oddities in their stories are bound to enjoy. A standalone follow-up to the acclaimed and beloved chapter books My Happy Life and My Heart is Laughing. Dani is very happy—it's the last day of school, and summer is about to start. But then there's a knock on the classroom door, and Dani is told her father has been in an accident. He's in the hospital! How can she possibly be happy now? A warm and heartfelt story about Dani's love for her dad and her ongoing friendship with Ella. It's a story about sorrow and joy—and how life really is. Lagercrantz has written another cute book about the joys and sorrows of a young girl. 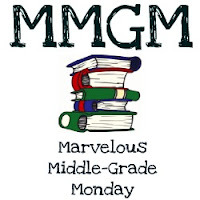 As school ends for the year, Dani is focused on finishing the book about the year that she has been writing, but she's having trouble coming up with a good ending. Just as she looks to finish, she finds out her father has been badly injured in an accident and the book becomes secondary. 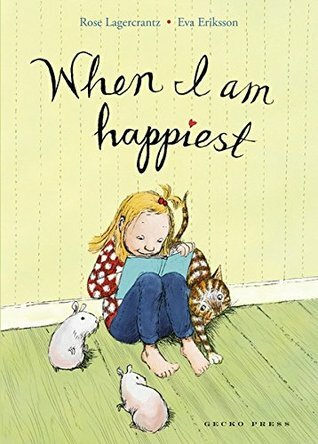 One thing that the author and illustrator do well is how real the feelings of this little girl are, along with the ups and downs of her life. Friendship, loss of a parent, fear, school, and unkindness all come into play in this realistic story. But while all Dani's troubles are solved by the end, things are starting to look up. The mixture of illustrations and text make this a nice chapter book introduction for early readers who are looking to read more difficult texts. 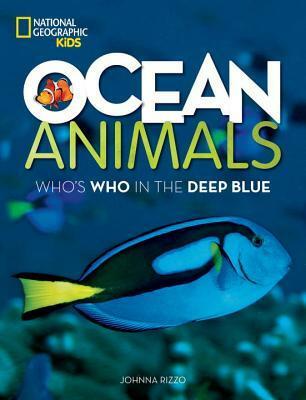 Fans of Disney Pixar's Finding Dory and Finding Nemo movies will love meeting the real underwater critters behind the film in this colorful, fact-filled nonfiction book. From life in coral reefs, to sharks and rays, to sea birds, kids will meet incredible sea-based animals in action, including the blue tang fish and clownfish. It's all captured with beautiful underwater photography and features cool info about our oceans -- including fascinating facts, maps, and marine conservation tips and efforts. For those young readers who are fascinated by the ocean, this book is worth purchasing for the gorgeous photographs alone. Not only is the book a large size but so are many of the photographs. And as National Geographic has developed an amazing reputation for it's photographs, it's not surprising that that reputation shines through in this book. This book provides an overview of the ocean as an habitat as well as the main groups of animals that live there. Captions as well as short paragraphs with fascinating information make this a great browsing book. The design of the book is beautiful with paragraphs of information balanced nicely with the accompanying photographs. Ideas for young readers to use in helping to protect the ocean are included at the end. 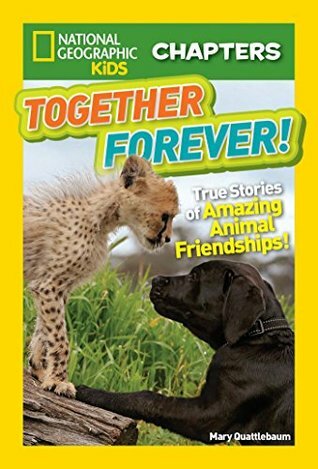 This is a book that should be in all libraries as well as in the hands of young animal lovers. 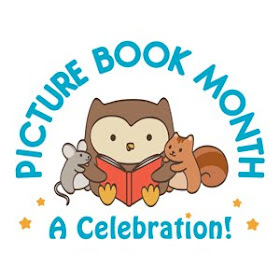 PICTURE BOOK REVIEWS: Two great wordless picture books! Welcome the much-anticipated finale of Caldecott Honoree Aaron Becker’s wordless trilogy—a spectacular, emotionally satisfying story that brings its adventurer home. Failing to get the attention of her busy father, a lonely girl turns back to a fantastic world for friendship and adventure. It’s her third journey into the enticing realm of kings and emperors, castles and canals, exotic creatures and enchanting landscapes. This time, it will take something truly powerful to persuade her to return home, as a gripping backstory is revealed that will hold readers in its thrall. 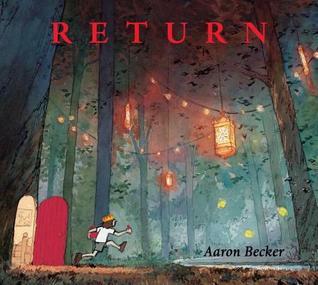 Caldecott Honor winner Aaron Becker delivers a suspenseful and moving climax to his wordless trilogy, an epic that began with the award-winning Journey and continued with the celebrated follow-up Quest. I have thoroughly enjoyed the trilogy of wordless books by Aaron Becker that conclude with this book. Not only do the books focus on the joys of imaginary play, but the illustrations are gorgeous and present many opportunities for discussion with young readers. Simply asking a child what he/she sees in the illustrations could lead to some fabulous discussions. The fact that these books also remind me of Harold and his purple crayon doesn't hurt anything as that was a favorite book from my own childhood. Comparing the two books would make for some great conversation as well. As a wordless book, the entire story is told through the illustrations, which in this case are detailed enough for repeated reading not to get boring, especially if the child tells the story. The illustrations are full of variety with two page spreads, single page spreads, and action step by step sequences on a white background. The book flows quickly and smoothly as a father works to get himself back in his daughter's good graces after being unavailable for kite flying. A delightfully rich story told through beautifully placed illustrations. This is a must have! Bill Thomson has been a favorite illustrator of mine since I first saw his book, Chalk. Using a similar theme to his first two wordless books (Chalk and Fossil), Thomson still manages to create a unique book full of imagination and laughter. I love these books, not only the gorgeous illustrations, but the creativity they demonstrate. 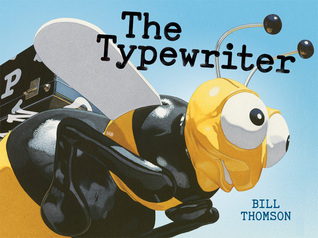 It's also great to see a typewriter in a picture book considering how many children won't even know what a typewriter is. And despite having read the previous books, this one still managed to surprise me. I especially enjoyed the large pail of ice cream. It's also a real pleasure to see the expressions on the child characters faces as well as the diversity among them (black girl, Asian boy, white boy). 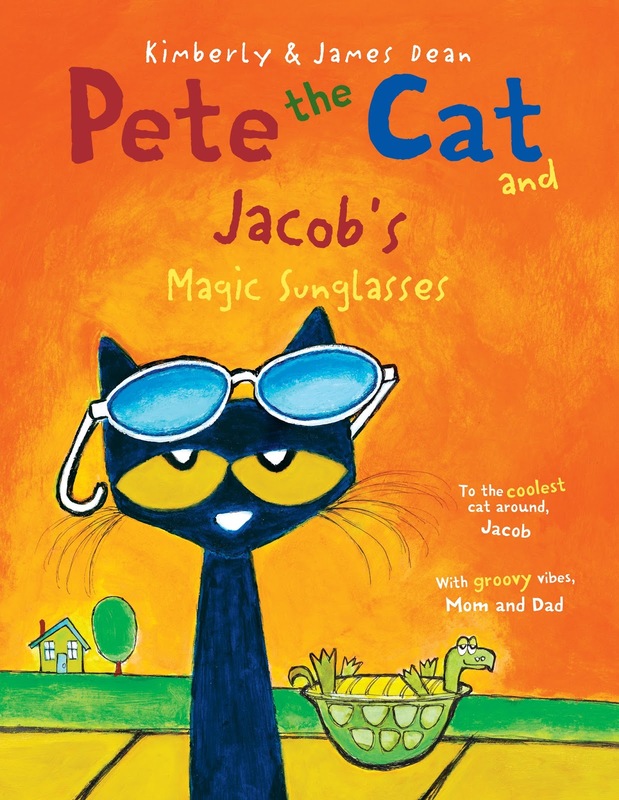 A fun book to share with children to encourage their curiosity and imagination. I enjoyed reading this chapter book mystery that looks at how a crime might really be solved. Detective Gordon is the police chief who must solve the theft of nuts from multiple victims. But he's older and has a hard time leaving the office. So he recruits Buffy, a young, hungry mouse to help him. Together, they work to find the guilty party will dealing with a rather obsessive victim (he knows how many nuts he has down to the individual number). Buffy's enthusiasm balances out Detective Gordon's experience and wisdom. The illustrations add a great touch, helping to show the characters and the mystery. 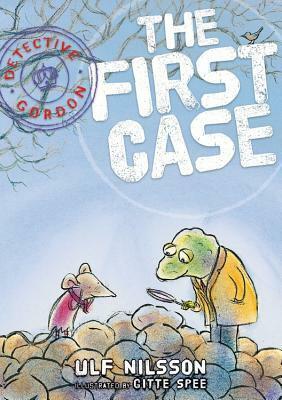 A fun new mystery series for young readers. All opinions expressed are solely my expression. The detective lay in bed with his eyes closed. But he couldn't sleep. He was thinking. He always thought best in bed. Especially with his eyes closed. Something is going on in the forest: one of the animals is saying nasty things about the other forest creatures. But no one dares make a statement to the police. Who is the culprit? Detective Gordon and his assistant Buffy must investigate! But this is a complicated case. The two police officers split the workload: Buffy questions the suspects, while Gordon stays in bed to think. 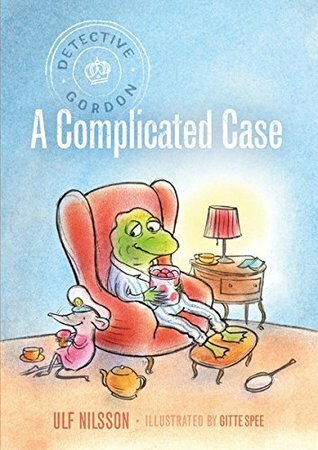 Detective Gordon: A Complicated Case is a warm and humor-filled follow-up to the well-reviewed Detective Gordon: The First Case. Nilsson and Spee have created another cute mystery. The relationship between Gordon and Buffy is a sweet one of mentor and mentee as Gordon deals with the challenges of getting older and Buffy reveals that she doesn't know how to read. Another interesting idea introduced in the book is what exactly should be a law and what should be written as law and what left to a matter of conscience. It's sweet to see a couple of characters with strengths and weaknesses who through persistence solve the case. The solution they come up with is quite creative. This is the kind of mystery I would hand to a young reader not ready for the darkness that can come with a lot of mysteries. This mystery is sweet and satisfying without being scary in any way. Can you tell the truth from a tall tale? Spot a phony Photo a mile away? Figure out a fib in five seconds flat? Then Real or Fake? is the book for you! Put your amateur detective skills to work in this fun and wacky book and see if the truth triumphs as you encounter suspicious stories, fishy facts, lying lists, and more. You'll even play interactive games that will leave you second-guessing everything you've ever read. Complete with awesome photos and hilarious collage art, this is one book that you have to read to believe...or disbelieve. 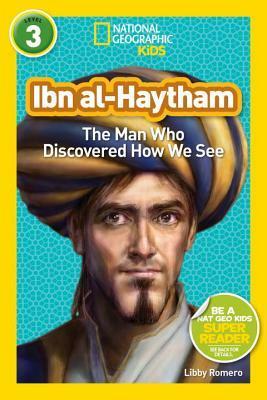 I thoroughly enjoyed this interactive book from National Geographic Kids. The book consists of a selection that covers a four page spread. The first two pages introduce the story then leaving the reader to figure out if the story is real or fake. The second two pages explain the truth about the story. Additional sections of the book include photographs that may or may not have been manipulated. Also a section about identifying lies, headlines, or place names adds fun to the book. Children who are fascinated about the world around them are bound to have a great time reading this book, I certainly did. The illustrations are collages that combine elements of several pictures matching the strangeness of some of these stories. I found the one about Hello, Kitty particularly baffling, and no I'm not going to tell you, you'll have to read the book for yourself ;). Some of the answers are obvious but others are just believable enough to be tricky. A whole lotta fun for young and old alike. 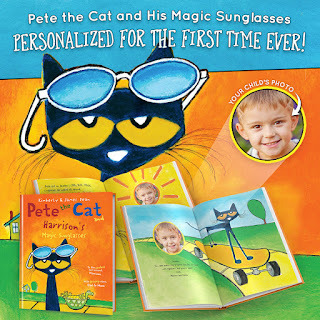 Pete the Cat is an adorable picture book character who is having a bad day as this book opens. But when Grumpy Toad lets him borrow his sunglasses suddenly everything looks different and the day gets better. 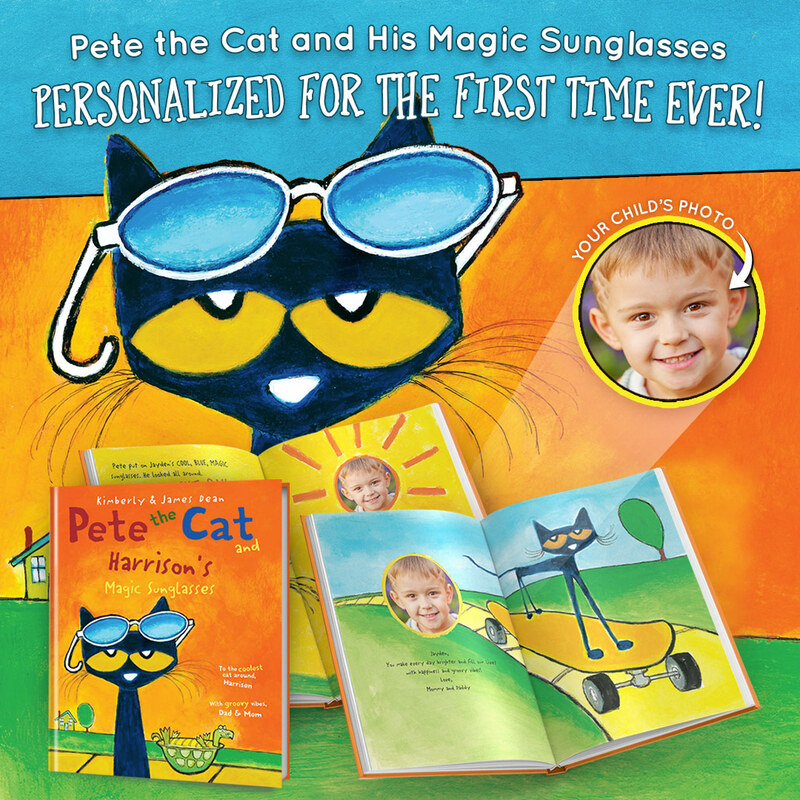 Add in the addition of your child in name and photo and the book becomes even cooler. 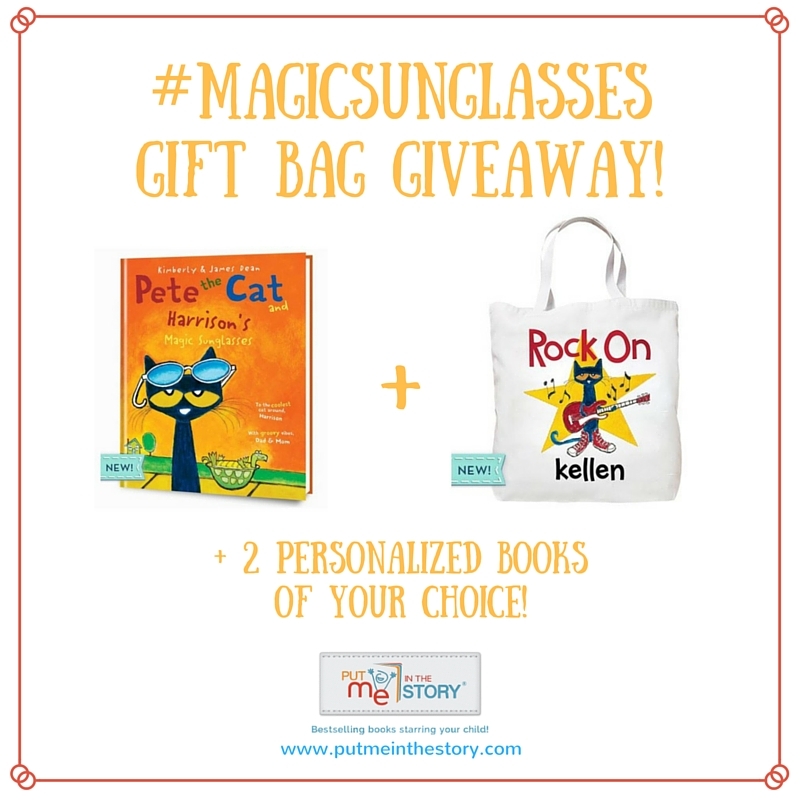 The name shows up in several places, including the title, and the name of the sunglasses. The photo is used both at the beginning on the dedication page, and throughout the book as the sun. I thought that was a clever touch, giving the impression that the child is like the sun, brightening up the world. 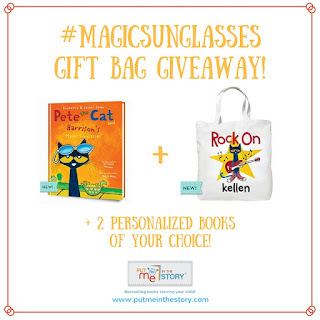 A delightful gift for young readers who love Pet the Cat. This book seemed an appropriate one to have read after the last week of grief and shock. Neither of those things are easy to face no matter who is or is not to blame. This site is where I share my thoughts on books, but today I couldn't help but share my empathy for those who are hurting at this time. It's my hope that with the Lord's help we, as Americans, can learn to listen to each other, and work together to help each other heal. The themes apparent in PAX make it a book that won't fit every reader. Themes of loss and grief, anger and personal responsibility, and war and survival make the book a compelling one, but not the easiest book to read. Because of those themes, I recommend that the book is one that deserves a lot of discussion between children and adults. Pax is the pet fox of a young boy named Peter. As the story opens Peter's father is forcing him to get rid of the fox before he goes to live with his grandfather while his father is in the army. Peter is heartbroken about this but doesn't want to incur his father's anger by continuing to refuse. Pax is utterly confused when his boy tosses his toy for him to retrieve and then isn't there when he comes back with it. Both Pax and Peter are forced to face difficult situations and choices. Pax must find a way to survive while waiting for his boy to return (he's sure Peter will come). And Peter determines that the right thing to do is to go find his fox. Neither character's journey is an easy one and the consequences of war must be faced by both of them. Once Peter sets out to travel about three-hundred miles to find his fox, he discovers that it's going to be a lot harder than he expected, especially after he breaks his foot. A lonely isolated farmer named Vola reluctantly agrees to help Peter on his way, despite his foot, but only with conditions. As Vola helps Peter get stronger, she also teaches him about the costs of war (she's a disabled veteran) as well as wood carving and marionette story telling. Meanwhile, Pax is learning about thirst and hunger and the dangers of humans as the war creeps ever closer to where he is waiting. When he runs into a vixen and her little brother, Runt, who have had really bad experiences with humans, he starts to realize that the world he is in now is very different than the one he knew before. As both Peter and Pax (the story alternates between the two characters) learn and grow, they start to change making the ending rather bittersweet (in other words, not a happily ever after sort of story). As the story goes on the sort of relationship Peter has with his father becomes clear as do the events that lead to his mother's death that continue to haunt and grieve the boy. Klassen's black and white illustrations match up well with the solemn tone of the story. They show just how alone Peter and Pax feel during major parts of the story, and how that gradually changes. This book has a great deal of depth to it as it deals with issues that have become all to common in the world. 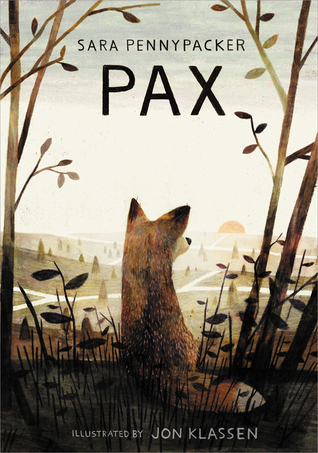 While the book contains a great deal of sadness, there is also hope as Peter learns to face his pain and responsibility and Pax learns to survive despite the horrible conditions around him. Pennypacker does a great job keeping to story child appropriate, but several animals are killed/injured by land mines. A thoughtful book that I recommend with the caveat that you consider carefully whether it is appropriate for your child. 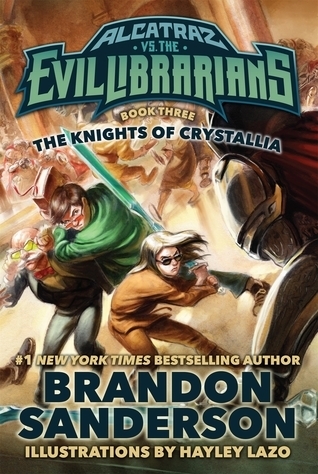 Brandon Sanderson has created a rather unique speculative fiction/fantasy series with Alcatraz vs. the Evil Librarians. In this third book, Alcatraz finally makes it to his home continent of Nalhalla. But once again things go wrong from the get go with the glass bird he is flying ON (he's standing on the outside of it) explodes and he nearly dies again with his Grandpa Smedry. But that's not much of a surprise. What is a surprise to Alcatraz is how famous he and his family are in Nalhalla and the Free Kingdoms. Not only does his family live in a big, black castle, but his family gave up its kingdom years ago. Every where Alcatraz goes in the city brings him the kind of attention he's never had and it goes to his head a bit, until his Grandfather brings him back to earth. But Alcatraz's problems haven't gone away just because he's home. His friend Bastille is in major trouble with the Knights of Crystallia for losing her sword and failing to protect Grandpa Smedry. Alcatraz still wonders if there is something more behind this, like a conspiracy. In addition, the Free Kingdoms are getting ready to sign a treaty with the Librarians that would give up the country of Mokia, something he and his family don't believe should be done. With his typical sidetracking and vague references to upcoming events, Alcatraz tells his story with plenty of snark and strange ideas. Not only is the book an entertaining read, but it surprisingly also shares various ideas about writing and being an author. Sanderson has created an amusing while still compelling book series. Alcatraz's ongoing comments about his 'cowardice' and failures has kept me reading, wanting to know what happened that led him to refer to himself this way. So far, up until this point in this book, Alcatraz's weaknesses and failures haven't stopped him from saving and helping those he has grown to care about. But he does keep foreshadowing climactic events that are coming that will change everything. This tactic by the author carries the series forward as the reader wants to know exactly what is going to happen. 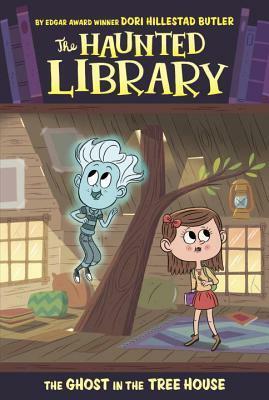 Here is Edgar Award Winner Dori Hillestad Butler's seventh title in her not-too-scary chapter book mystery series, The Haunted Library. 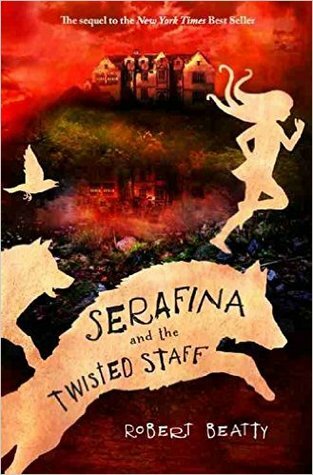 Perfect for reluctant readers in the mood for a great mystery! Kaz and Claire set out to solve another mystery, this time a supposed ghost in a tree house. Kaz and Little John are hoping that maybe this ghost will be another member of their family, who they are still trying to find. But like most mysteries it turns out to be more complicated than that. Are the girls who use the tree house as a clubhouse imagining things or are the neighborhood boys just playing tricks? It's up to Kaz and Little John to find the answers when they get left behind after finding their father who refusing to believe that that can be friends with Claire, a solid girl. Another bead found suggests the boys' mother might be around, but is she the one haunting the tree house or is there another explanation. I enjoy this series not only because of the readability of it but the creative way that Butler has merged the solving of mysteries with Kaz's development of his ghosting abilities. The series develops naturally and each mystery is interesting with each mystery solved in a believable way. I also love the fact that Kaz and Claire work from the local library. This is a fun mystery series for young chapter book readers who like a story with a touch of the supernatural. This series will be ending with the 8th book which makes for a nice number of stories. And More True Stories of Extreme Adventures! 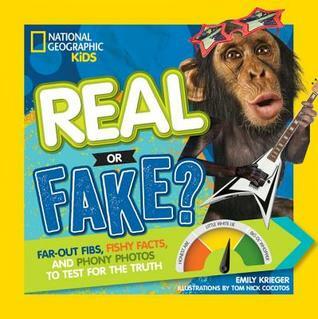 National Geographic has created this chapters series that I have found absolutely fabulous. Not only are they beautifully designed but wonderfully written. And the stories in this particular volume are fascinating and compelling. There are three stories included in this volume: several experiences of underwater photographer David Doubilet and his wife and partner, Jennifer Hayes; Rhian Walker's adventure diving down to study cold water coral, and Kenny Broad's adventures underwater cave diving to study blue holes. Each section contains three chapters with each chapter highlighting an experience by one of the highlighted individuals. Each of these stories shows the dedication that each of these individuals shows to his/her chosen profession and the risks that they face along the way. 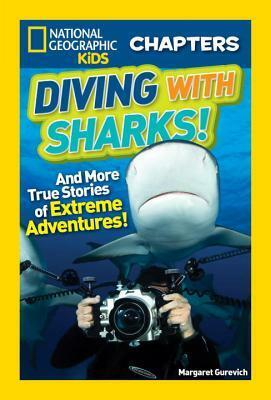 Sharks, darkness, rock avalanches underwater are all events shared in this book. Students interested in animals or the scientists who study them are bound to find this book fascinating. And the shortness of the book makes it a great choice for reluctant readers.